ASH BORER: European Tour Beginning soon! ASH BORER's return to Europe will begin shortly, with our first show on 14 April 2017 in Copenhagen, Denmark. See the 'Live' tab above for all dates. We will have plenty of music and merchandise available, including LP/CD/CS copies of a majority of our back catalog as well as plenty of shirts, longsleeves, hoodies, etc. 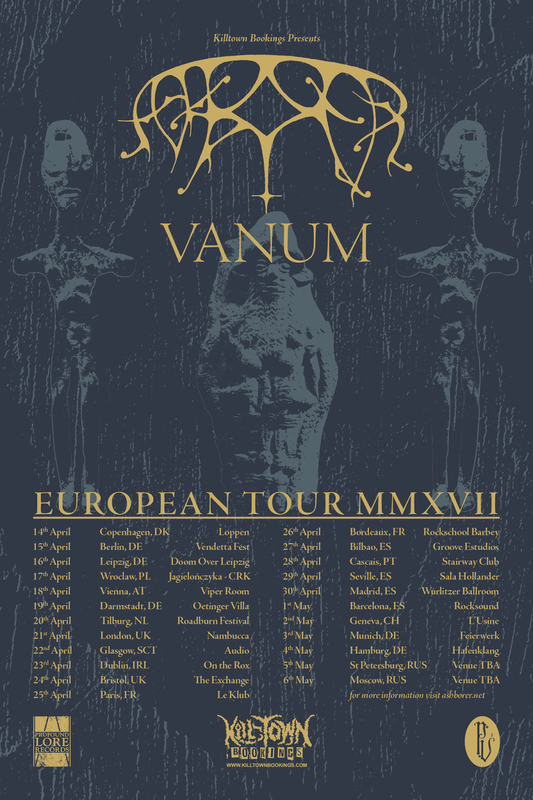 VANUM will be supporting their new EP, Burning Arrow, as well as 2015's Realm of Sacrifice. Vanum release 'Burning Arrow' EP.